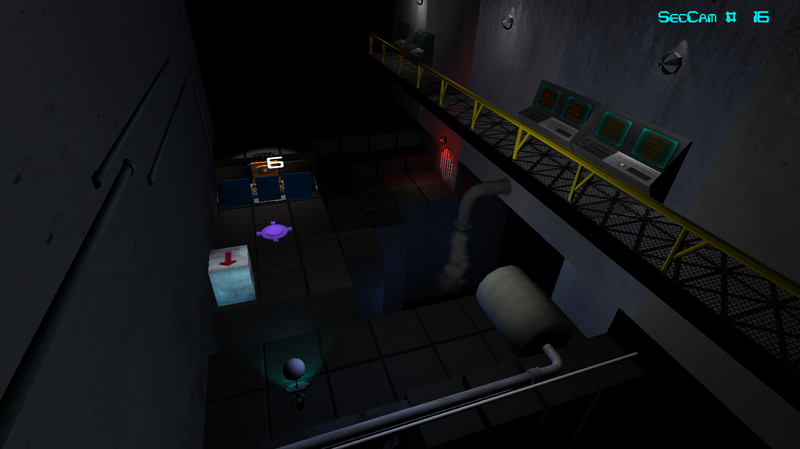 Below is a screen capture of the first in-game level. You may notice the camera distortion effect to emphasis the security camera. Click on this link to download your copy of the game G12-iM, for a Windows platform. The content is in a Zip file, uncompress it, and open the executable file titled “G12-iM.exe” to open the game. For Mac users, please use this link. Download, uncompress and play. Online on a web player, here. The game menu gives you the option to pick your screen resolution and the quality you want the game to run at. I would strongly recommend to play this game in full screen mode, uncheck “Windowed”, play it on “Fantastic” quality and to the proper size of your screen resolution. 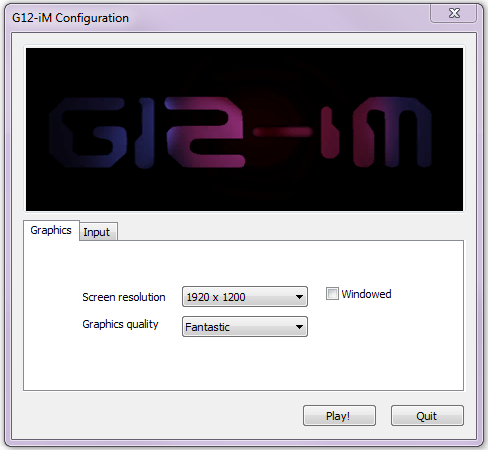 The recommended settings for the optimal intended game play experience for G12-iM – On Windows. 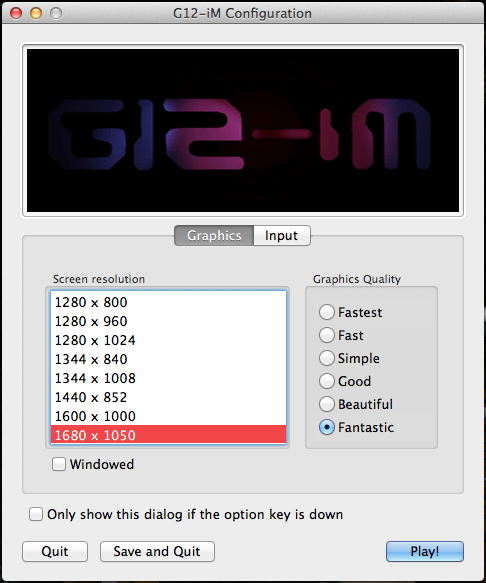 The recommended settings for the optimal intended game play experience for G12-iM – On Mac OS. Any constructive feedback would be awesome to hear. So, please feel free to try the game out. Go nuts. 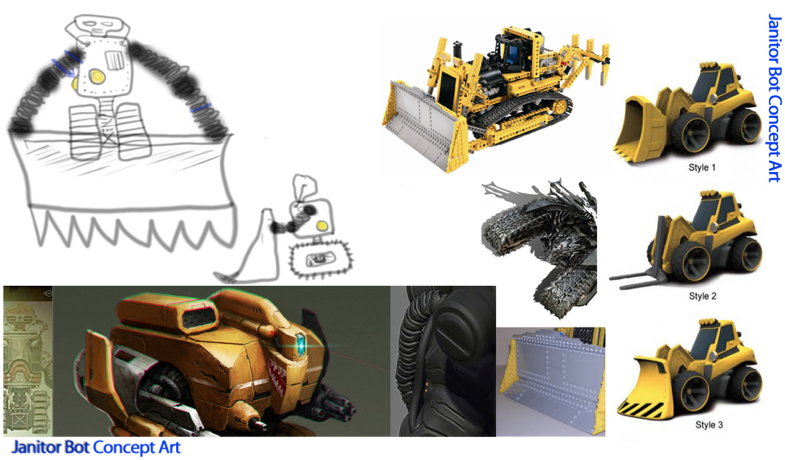 Characters creation & concept art post. 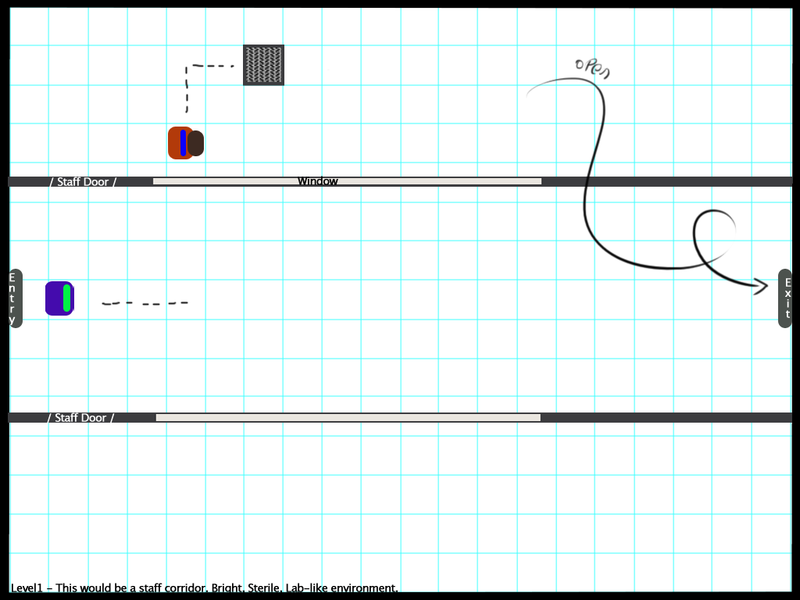 Level Design post: part 1, part 2. 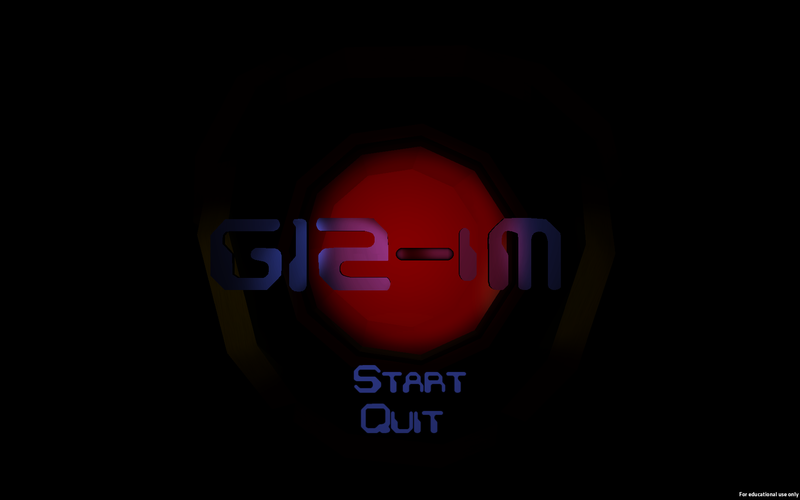 My latest project was titled G12-iM, reads as GRIM. 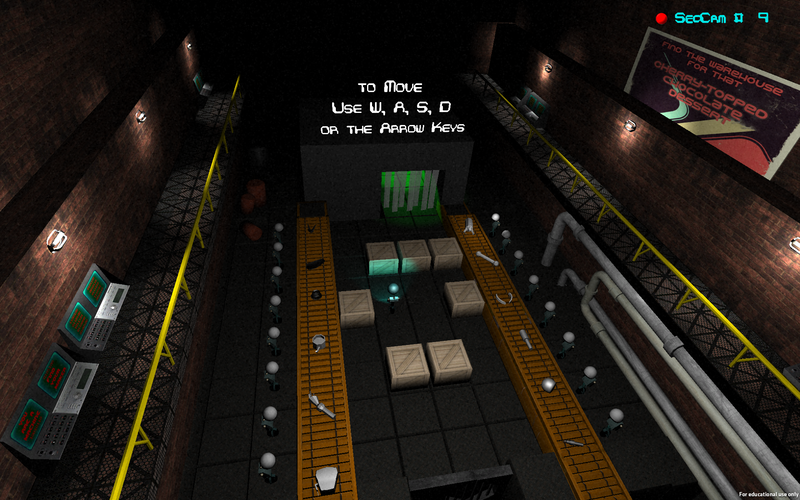 It is a casual puzzle game. It was an awesome group effort to bring this conceptual idea [by Ben Herron] to the state it is right now. 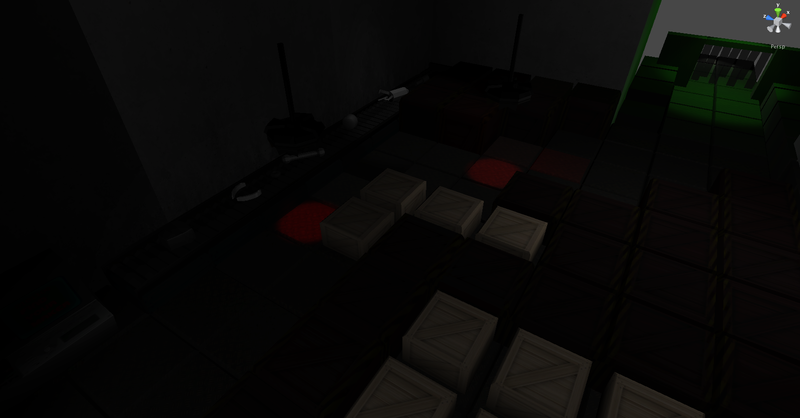 Currently, the game is of 12 levels, barely scratching the surface of the story’s narrative. In this game, I was the art lead, and the level designer for most of the –tutorial-levels, I’ll go over the level designs in my next post. Robots create robots, as it mirrors humans making humans. A factory, a hospital. As the title of this post suggests, I’ll be discussing the characters conceptualization in GRIM. 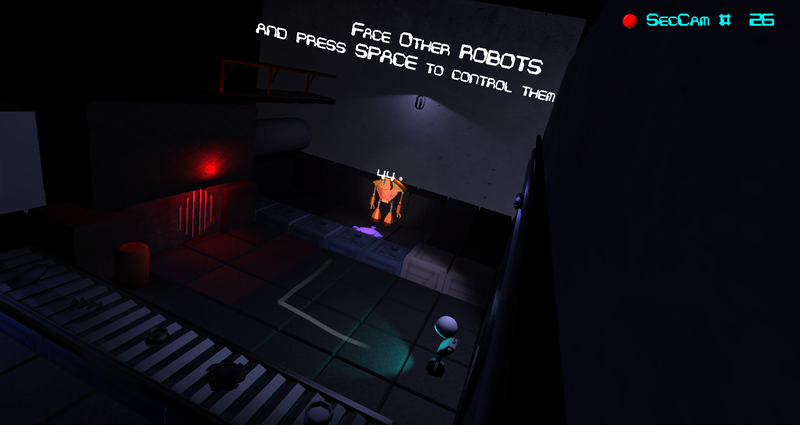 There are four characters in this game, assembly robots, mechanical robots, spy robots and janitor robots. 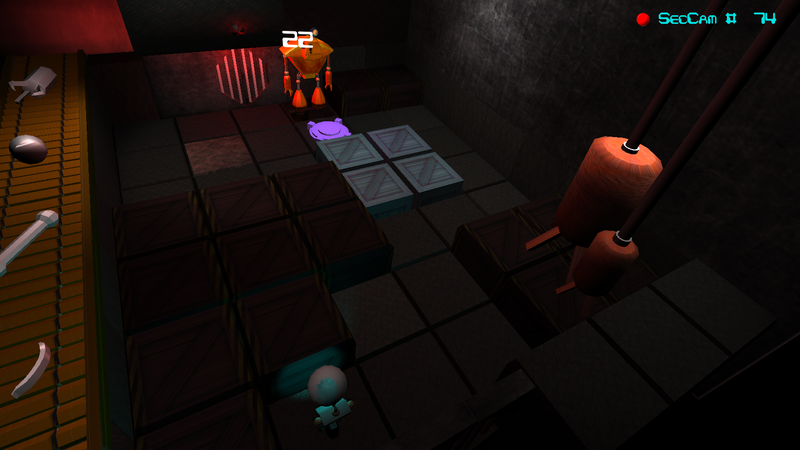 The main character of this game is, G12-iM, the assembly bot that gains self-consciousness. 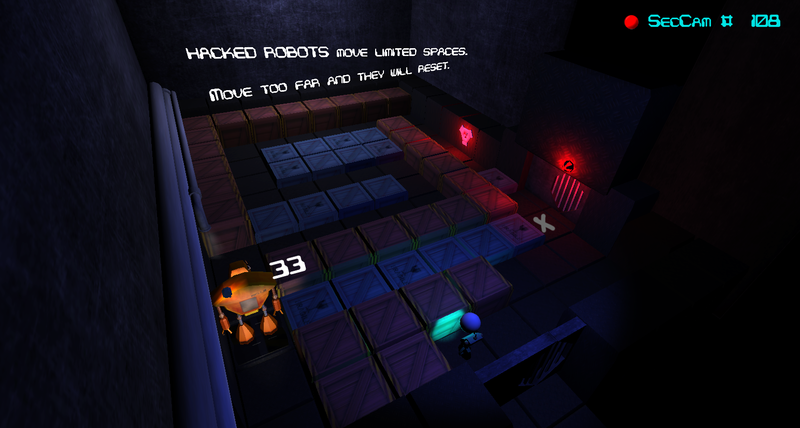 The other robots, are pawns for G12-iM bot to hack and take control over, help him solve the puzzles and therefore progress in the game. All character concepts went through quite a few iterations, I will only be featuring a limited number of them, in a compilation of images. Are basic robots, they don’t need a range of functions to do. They’re built to assemble other bots, to be stationed by the assembly lines, They’re solid, yet flimsy robots. They’re built to move on a wheel, to limit their movement in the factory. I was inspired by these miniature figure photographes I found on DeviantArt. Please note: These screen shots of the GIF were taken in Unity, the free version, so the lights intensity and casting are different here from what is in the game actually. 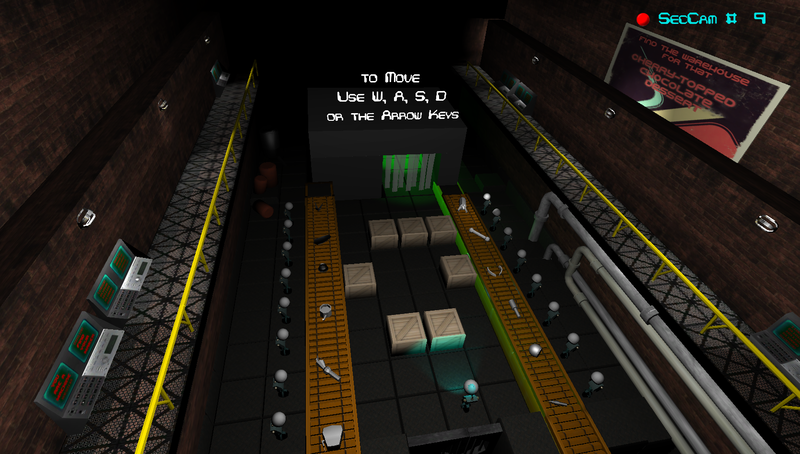 The game was built in Unity pro version. Also, the quality of the 3D model has been compromised by the creation of this GIF. Mechanical bots are advanced, they are equipped to interact with their surroundings in more ways than the assembly bots and the other robots. They have extended arms, with finger-like endings. They are built to be big robots. 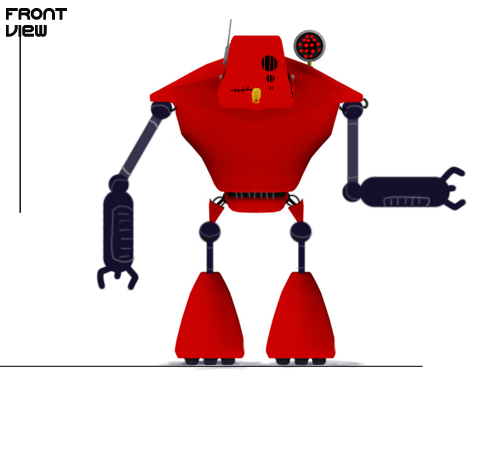 Early concept was to feature a red beam of light covered in vertical bars to convey the harsh, mean personality this bot has, if it has a “personality” as can be seen above. The personality of this robot has been altered from a mean character to an oppressed one. That is evident from the bars on the eyes, and the lock pad on his mouth. 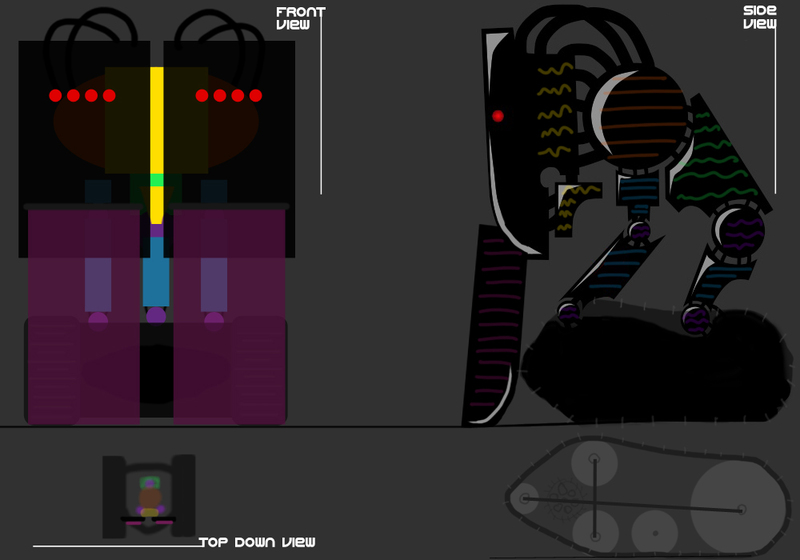 On the 3D model of the bot, the arrangement of the eyes and the lock pad has been switched from right to lift. I saw that this arrangement works better with the placement of the light on its right shoulder. That there aren’t too many similar shapes on one side of the design, so the eyes can see the space in between the eyes, and the light spot. Spy bots are small, menacing bots. They have a spherical shape, a face covered in a mesh of metal bars, and metallic tentacles to interact with the environment. They hover in space. This design for the spy bot gives it a hooded look for the face. Which fits the spy bot character. On the final 3D model of the robot, it only has one gear at the back, as 2 looked to crowded for such a small robot. Janitor bots are solid, rigid and oversized in comparison to the other bots. They are powerful tractors with a broad blade at the front for clearing in the factory. 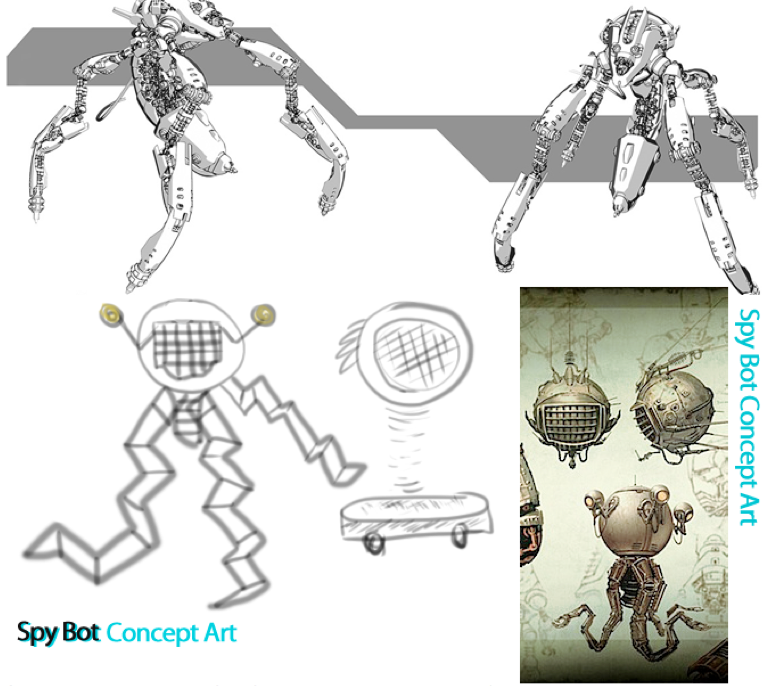 Early concepts of this bot were to sport an unpleasant character, grumpy, mean. Yet, the same with what happened with the mech bot early concepts, having oppressed looking robots, fits the story much better. So, the final concept of the janitor bot features a hunched back, tired looking robot, has a big un-utilized brain, that clears the floor using its “tongue”, the blades coming out of its face. There’s a noticeably 3rd face plate on the bot, as the two-plated face was too small to occupy the 3-blocks allocated for the janitor’s movement. I tried minimized the stretch effect of it, by adding the 3rd face plate. Orange is the dominant color of choice for the bots. Firstly, it was for the Mech bot only, as orange, from the colors energy theory, is of an energetic personality trait. 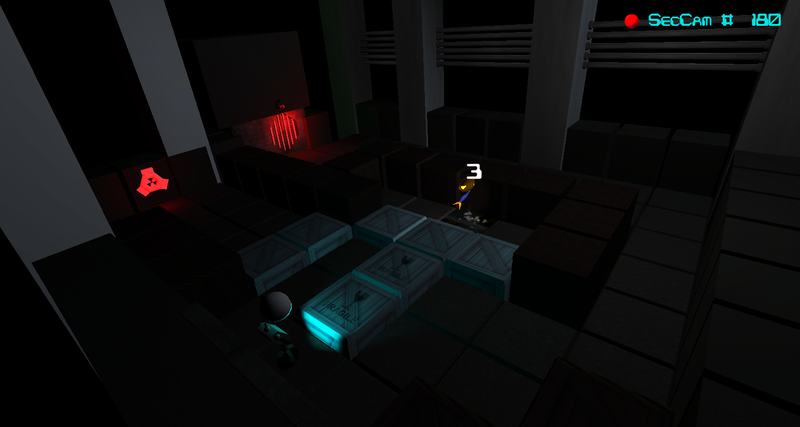 And since the Mech bot has multiple functions in solving the puzzle, turning on wall sensor switches and floor pressure plate switches. But later on, orange was incorporated on the other robots as well. Spy bots are yellow, it’s bright therefore making it more noticeable for its small size. 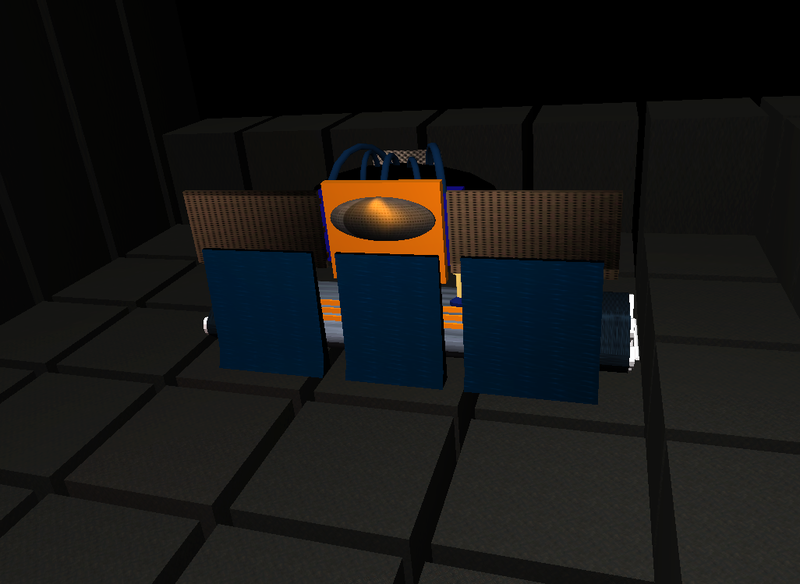 Janitor bots are dark blue, to make it appear smaller and it’s a complimentary color to the orange. Assembly bots are aqua so they seem unthreatening, friendly and grey to emphasize the dull routine they live in. I believe this wraps up this post. 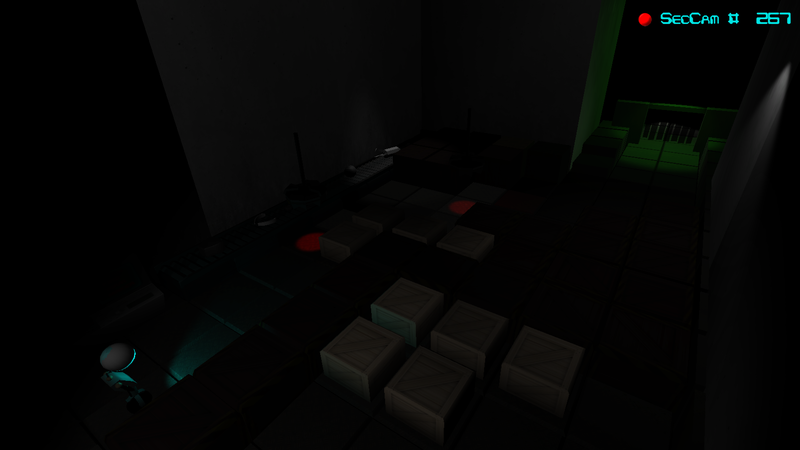 Next update will cover the level design aspect in GRIM.